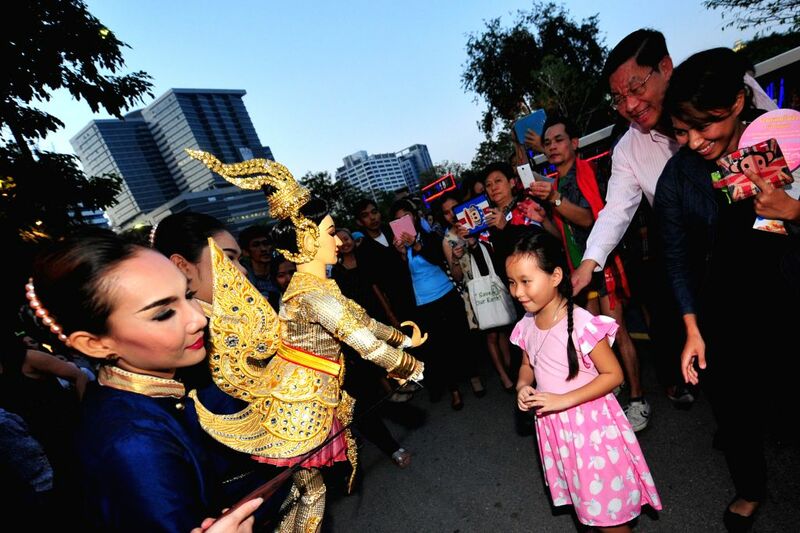 BANGKOK, Jan. 16, 2015 - People look at a Thai puppet during Thailand Tourism Festival 2015 at Lumpini Park in Bangkok, Thailand, Jan. 15, 2015. Thailand Tourism Festival 2015 was held here from Jan. 14 to 18. 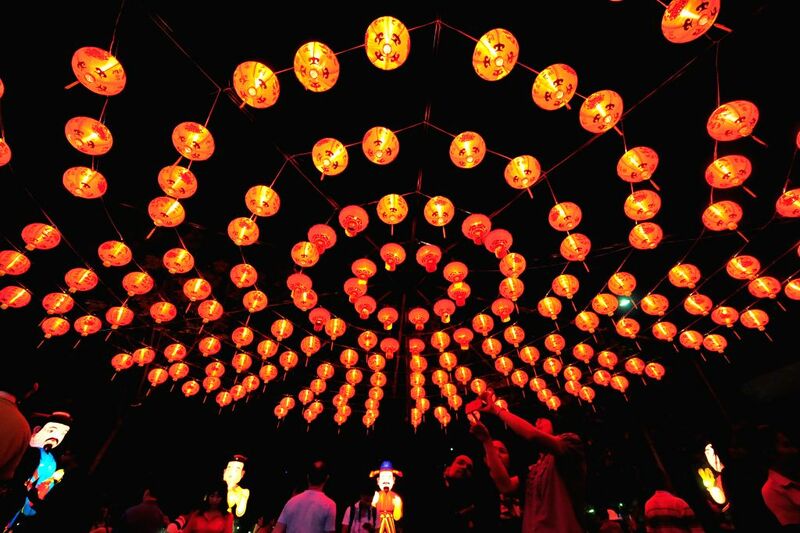 People take photos of lanterns during Thailand Tourism Festival 2015 at Lumpini Park in Bangkok, Thailand, Jan. 15, 2015.